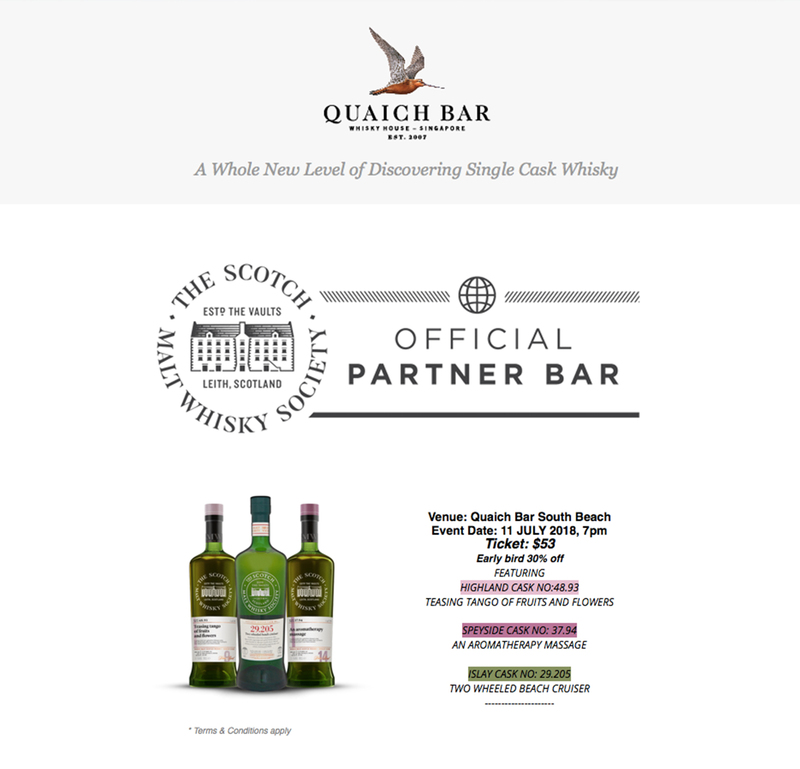 Tasting event will be holding at The Wall on Wednesday the 27th of February. 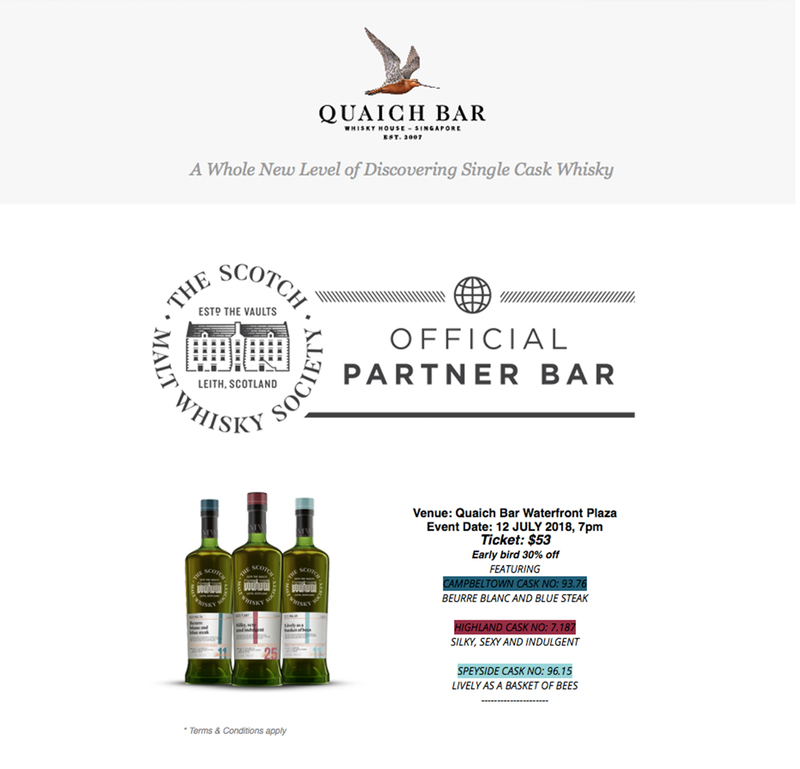 Since 1983 The Scotch Malt Whisky Society has enjoyed a reputation for bottling fine single cask, cask strength whiskies. Over the years it has slowly become renowned for the breadth of its range, having bottled whiskies from more than 130 distilleries in Scotland and around the world. In this tasting, 'A Long Line of Longmorns' we explore something different; we delve into the depths of their range, sampling four superb single malts from just one iconic Scottish distillery. 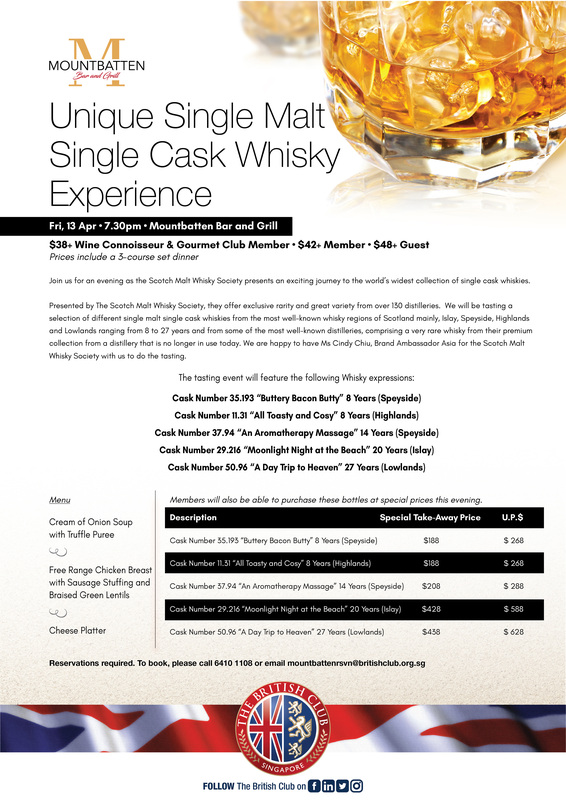 Join us once again as the Scotch Malt Whisky Societyy presents yet another exciting journey to the world's widest collection of single cask whiskies. 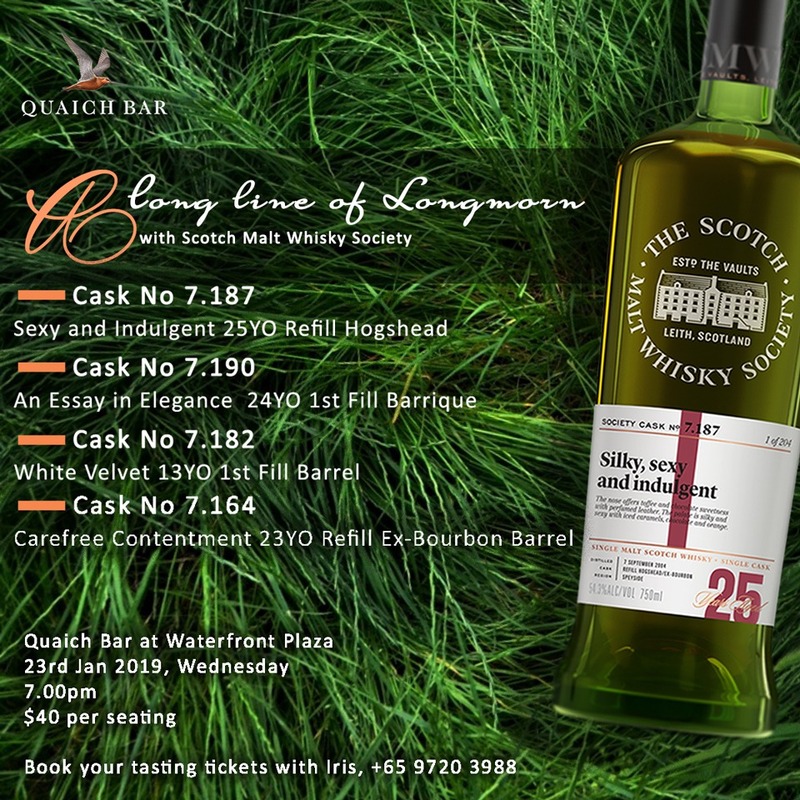 Presented by The Scotch Malt Whisky Society, they offer exclusive rarity and great variety from over 130 distilleries. 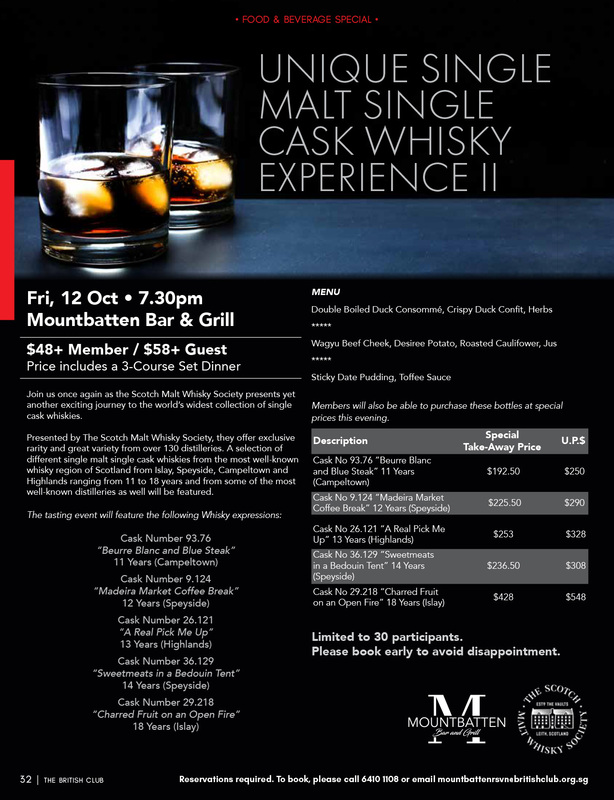 A selecton of different single malt single cask whiskies from the most well-known wisky region of Scotland, Islay, Speyside, Campeltown and Highlands ranging from 11 to 18 years and from some of the most well-known distilleries as well will be featured.